Details: The project is coming up at Madhyamgram, Kolkata North. It is spread across 6 acre of land. 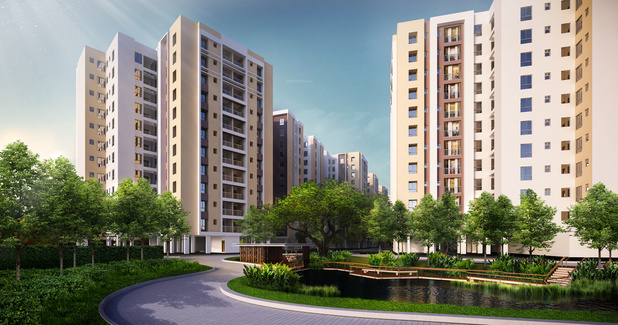 The project offers 13 towers with G+11 floors, it has 824 units of 2, 3, and 4 BHK apartments. The amenities include Jacuzzi, Senior Citizen Sitout, Banquet Hall, Swimming Pool, Yoga/Meditation Area, Cafeteria, etc. Kolkata – 700029, West Bengal.